« How Does A Solar Car Work? “The First Solar community was deeply saddened to learn of the deaths of two associates in an accident near the Desert Sunlight Solar Project this afternoon. “Mike Cyr and Jeff Randall, both civil supervisors at the project, were in a single engine aircraft flying over the project when the airplane crashed near the site. The accident is under investigation by the National Transportation Safety Board. First Solar is cooperating fully with authorities. Apparently, on Monday afternoon of Aug. 26, 2013, during the routine check (there was a storm on Sunday but no known storm on Monday), a Colorado River Station sheriff’s deputy and a Bureau of Land Management ranger were patrolling the Desert Center area east of Kaiser Road between Lake Tamarisk and the First Solar energy site, where they witnessed the small plane flying out of control and crashed. Later, they found the bodies of 41-year old pilot Mike Cyr and 35-year old passanger Jeff Randall (according to First Solar CEO Jim Hughes). 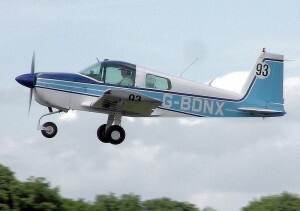 The plane was a 1971 Model AA-1A fixed wing with a single engine. Personnel from Cal-Fire, Colorado River Station, BLM, the Coroner’s Office, the National Transportation Safety Board (NTSB), and the Federal Aviation Administration (FAA) responded to investigate the crash. The cause of the crash is still being investigated by the NTSB and FAA. Some basic investigation report information may be obtained from Deputy Julio Oseguera at 760-578-3195. This entry was posted on Wednesday, August 28th, 2013 at 5:34 PM	and is filed under News. You can follow any responses to this entry through the RSS 2.0 feed. You can leave a response, or trackback from your own site.